Excelling in the off-road footwear space is a difficult feat. Many companies have tried and failed to push their functions and builds, causing customers to revert to popular powerhouse players in Nike, Adidas, New Balance, and so forth. At the beginning of 2003, a British company would define the way off-road footwear is handled and produced. Applying new strategies and enhanced testing models, Inov-8 would showcase their staying power in this space. The Inov-8 F Lite 195 is the latest development in the cross-trainer space. Below we'll review this product in detail, providing discussion points for each area of the shoe. We will also discuss some of the features we love and some we could do without. Inov-8 placed themselves at the forefront of the cross-trainer space by utilizing design means that were relatively new to the marketplace. They built upon these introductions, strengthening them through hours of lab sessions and real-life testing instances. They would place their products into the hands of individuals who really got after it in the gym or would put them through vigorous testing sessions. This helped the company key in on the main areas of focus, prescribing the necessary means for continued success. The methods that have been applied through previous models have helped the company live up to the assessment of the marketplace. The applied techniques have users raving and calling for increased depth in the product lines the company hosts. The Inov-8 F Lite 195 is an extension from the company's cross-trainer footwear line. This model holds the same gripping technique that is included in all Inov-8 models. The grippers use rubber that is treated with a proprietary sticky element. This helps you lock onto the desired surface, making slippage and movement an afterthought. This is what prescribes these shoes best for the gym or when exercising multiple movement streams. Inov-8 also scaled back the material makeup to ensure it was one of the lightest shoes on the marketplace. The total weight comes in just below 7 ounces, creating a feather-like feel. The low weight helps to make this shoe as minimal, or close to the ground, as possible. Your foot will be able to feel the surface you are moving on, allowing you to utilize natural movements and foot striking amounts that are not hosted by other cross-training models. The shoe comes in two different fits: standard and precision. The standard fit is for users who enjoy extra space in the toe box. This additional space allows the toes to splay naturally, reducing any restrictions from padding increase. This size also works for those with wider feet, due to the heel cup extending to fully support the heel. This is the roomier option for the user. The precision fit helps to increase lockdown support and limit internal movement. This fit helps to limit movement by bringing the elements closer to the foot, reducing wiggle and slippage. It works for those who have narrow feet or those who narrow at the midfoot area. The heel cupping is tightened and reinforced with padding, to ensure holding and allow for proper air flow. 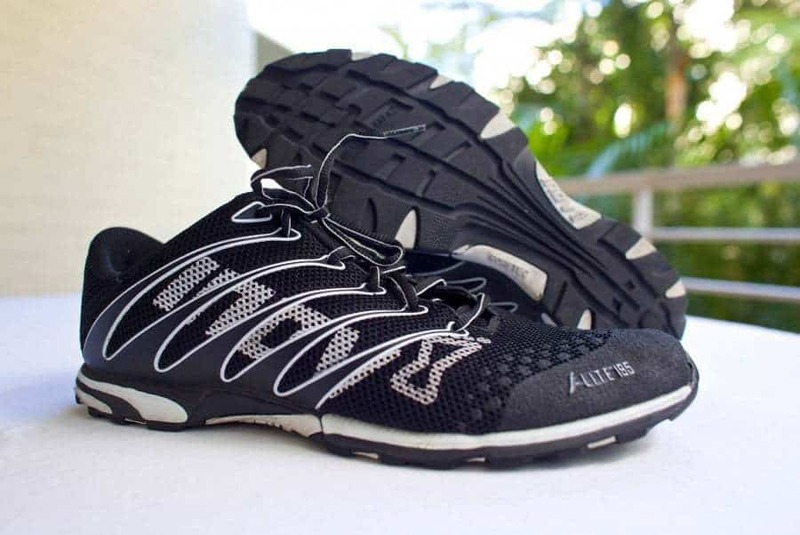 The outsole marks the main claim to fame for the Inov-8 brand. The main material used is rubber. This isn't any ordinary rubber as it comes from compounds that can be found in rock climbing shoes. This makes the strength of the outsole an afterthought. This rubber is also treated with a sticky substance that is proprietary to the Inov-8 brand. This substance helps your grip your surfaces with ease, creating for the proper base in any setting. This sticky rubber extends from the undercarriage to cater to the arch of the foot. This side rise also climbs to the outer portion of the outsole, offering additional protection measures and grip with any performed movements. The midsole is no slouch with this model. It blends with the outsole, with the two combining to reach all-intensive areas of purpose. It utilizes the ethyl vinyl acetate (EVA) mold that is common in the footwear industry. This dense foam works to absorb shocks and implement means of comfort directly to the bottom of the foot. This midsole is full in coverage, meaning it stretches from the toe box to the back-heel area. The main importance of this feature is to introduce an even pattern of cushioning coverage to the foot. Since it rests directly above the full-coverage outsole, it must meet these same coverage conditions. The upper is designed with precision holding, keeping the foot stable and secured within the shoe. The material used to make up the outer shell is of synthetic elements, which is carried to the upper region. The tongue sits flush to the top of the foot and the laces of the shoe lay flat. These two elements combine to produce proper holding techniques at the midfoot region. Resting directly under the upper area is a heel shank that rises slightly above the heel. This introduction makes a great play for inducing the proper posture and upright positioning of the body and foot. 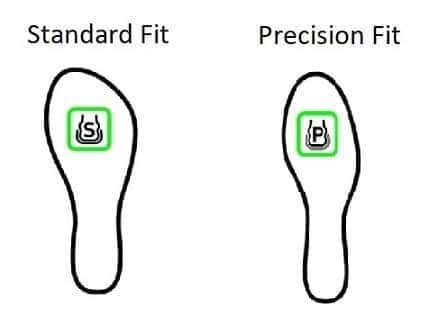 Side-by-side outsole extensions also reach areas of the upper. These elements induce proper form from the sides of the feet, applying a stability platform for the user. Inov-8 cut out some of the noise with this model, reaching their lowest weight total on record. Coming in at just under 7 ounces, this marks one of the lightest cross-trainers on the market. The beauty of the weight cut is that the model doesn't sacrifice function to obtain it. The synthetic build still creates for a strong outer shell and the construction in the outsole remains similar to the products of the past. With the use of a synthetic material, it can often be difficult to implement air flow. To conquer this stance, Inov-8 places small dimples across the outer shell. This allows for the heat that the foot gives off during activities to escape the shell. This inclusion also represents one of the primary entry points for air to cool the feet. The second place of entry is at the insertion point. The padded collar wraps over the top of the shoe, which leaves an important amount of space surrounding the heel. This space is designed for proper air flow in and out of the shoe. These two instances make for a positive stance on breathability for this model. The comfort build starts at the insole and extends to the outsole. The insert is both removeable and even patterned. The movability allows for users to adjust the fit to size to their foot. The synthetic material also offers a little give, allowing the user proper comfort adjustment means. The even pattern stays in-line with the size and coverage of the midsole and outsole, producing a flat base. The midsole induces the cushion texture, which form fits to the foot. The foot sinks into this material, which comforts and holds in dual fashion. 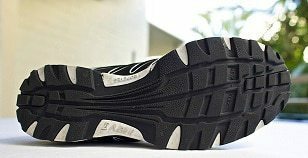 The outsole is thick enough to produce the proper level of shock absorption, making running a breeze. For a minimal shoe design, this model caters to comfort in all the right spots. With minimal shoes, durability is often compromised for functioning. This isn't the case with this Inov-8 model. The layer of sticky coverage that is treated at the outsole acts as a sealant for the rubberized materials. It can wick away abrasion attempts, causing them to slip away from grasping onto the outsole and posing a tear threat. This material rises to the sides of the shoe, increasing protection means in the outer shell space. Synthetic material is often difficult to tear. This material is layered and reinforced at the primary regions of impact, creating for a durable build that will stand up to the test of time. Any surface marks your path with the Inov-8 F Lite 195 model. The treatment techniques allow for you to embrace smooth and flat surfaces with ease. Using the shoes in these regards can help develop your strides and work on your striking and push-off. The off-road space is also fair game. The dual function of the outsole works to combat pressured surfaces, marking any terrain as no match for this shoe. The sticky nature also leaves wet and slippery surfaces as elements of easy conquer. The stickiness bodes well for attaining the proper footing no matter the setting. Due to the minimal nature of the shoe, the user is called upon to produce many of the stability means. The shoe includes a flat base that is mimicked from the undercarriage up to the insole. This introduces the proper footing for the user, leaving the balance and stride development up to the user. The back-heel includes the shank for upright positioning and the side-by-side holding patterns keep the foot aligned with the base. All of the elements are existent for supporting user stability. The outsole is rather thin, leaving the shoe to flex in the proper areas. One of the main areas of flex occurs at the outsole. Meta-flex technology introduces a groove at the midfoot area. This helps induce the proper flex from the foot, a movement that occurs naturally. 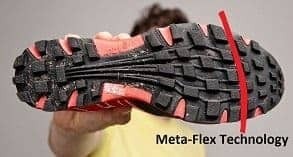 This Meta-flex technology allows the user to gain the proper flex from their foot. The design of the shoe creates the correct amount of toe box flex. The backing holds strong, producing little upward flex. The main target audience for this product is users who like to venture out on the beaten path. This makes it a fitting proponent for hiking and traveling across off-road surfaces. The minimalized structure also fits well in the gym. Weight lifters can call on their internal explosion amounts and gain natural reactions from their feet. CrossFit is a sport that requires a lot of adverse movements. Keeping the foot close to the ground lets the user gain internal means for accomplishing these styles of workouts. Keeping with Inov-8 products, the Bare-XF 210 V2 features the similar components to minimalized structure as that of the F Lite 195. This shoe features a very thin outsole, which is a recognizable difference from the F Lite 195. It ends up placing you a little closer to the ground, which is where it gains the Bare title. Meta-flex technology is introduced at the midfoot, providing forefoot support and stability. The design elements expand to cover textile materials, which is an addition to the synthetic material. The upper design is also gains a little more attention with this model, applying reinforcements in multiples at the sides of the foot. The price point climbs higher than the F Lite 195 model. For fans of the Inov-8 brand, the Fastlift 325 makes for the stronger cross-trainer option. It introduces a thick rubber outsole with visible shock absorbing pillars at the back-heel region. This creates for a lift at the back heel of the shoe. This cuts out deadlifting or heavy, stable lifts from the picture, due to creating a solid cushion on the ankle and heel area. During these lifts, we want to rely on our natural explosion capabilities to produce a fluid movement. Too much assistance can mess with our form and our push-off. The shoe also has a lockdown strap that secures over the top of the foot. These shoes work best in the off-road space. Their comfort and cushion means can be applied to long-term usage, making them perfect for those who spend long periods on their feet. For gripping uneven and rocky surfaces, the X-Talon 200 makes the best fit for the user. This shoe introduces 8mm extensions from the bottom of the shoe. These extensions are made from rubberized materials that feature the famed sticky coating. The design makes the shoe look like a cleat. This model also makes for a proper fit for those who need to gain traction on wet or soggy surfaces. They will dig into grass, providing the proper footing no matter the weather. The tongue of the shoe not only sits flush to the top of the foot, but it pins it within the shoe. Combine this with the flush laces and you have a sound holding pattern for the foot. The price point of this model reaches the high-end space, marking the most expensive model in our discussion. The design methods being exercised at Inov-8 continue to blow us away. They pack so much punch into such a small space, making their genius clearly ahead of its time. This minimal option continues to keep the user utilizing their natural foot functions to produce flex, push-off, and striking, which is important for stride development and strength advances. The outsole and midsole areas continue to introduce proprietary means of success. These means are also standing up to father time, providing a durable build that can be relied upon for heavy usage rates. The space of operation continues to embrace new areas of functioning and prescribes all surfaces as fair games of play. Inov-8 nailed it with the F lite 195 model.